Do you wish you had a more beautiful or dazzling smile? You're not alone. Every year, many patients seek help creating a more beautiful smile. 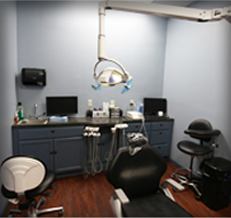 That's why Laith Family Dentistry offers a comprehensive range of today's most popular cosmetic services. We love seeing our patients smile, and nothing elicits a smile as well as a little cosmetic enhancement. 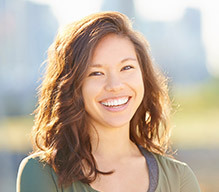 People associate beautiful teeth with confidence, success, and more. 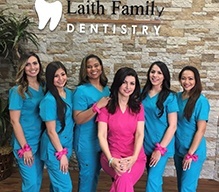 Through the care Dr. Kadamani provides at Laith Family Dentistry, we can help you project those qualities in a way that could dramatically change the way you're perceived by others. Do you have dull or stained teeth? With teeth whitening, we can help you create a brighter, more dazzling smile in just a short amount of time. Over-the-counter products may help you see results, but only a professional whitening system can whiten your smile by 6 to 10 shades. If your smile isn't as vibrant as it used to be, let us talk to you about treatment. Veneers use thin pieces of dental porcelain to improve the appearance of stained, cracked, chipped, or misaligned teeth. 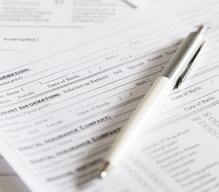 The entire process takes as little as two appointments to complete. What's more, veneers are stain-resistant and can be cared for with simple brushing and flossing. Enjoy long-lasting results with custom-made porcelain veneers. A smile makeover combines two or more cosmetic services into one plan. Maybe you need a combination of whitening and veneers, or perhaps you're interested in some of our other services. We also offer gum recontouring, cosmetic bonding, and porcelain crowns. Regardless of which services you need, you can look forward to beautiful results. 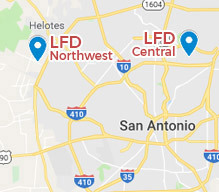 If you’re ready to schedule an appointment with our team, call Laith Family Dentistry. 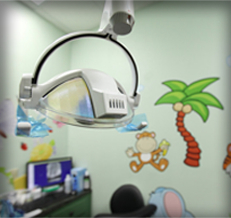 Our San Antonio dental team is happy to serve the needs of children and adults through comprehensive general, cosmetic, and restorative care. We look forward to serving you.